Sedation dentistry makes it possible for every patient to receive the dentistry services they need to maintain a whole, healthy smile without any added stress, pain, or anxiety. In fact, your Las Colinas sedation dentist can help you maintain complete comfort through even the most advanced procedures by using a wide range of sedation dentistry options at 21st Century Dental & Sleep Center. If you want to learn more about the sedation dentistry options we provide, call our dedicated dentistry team to schedule a consultation today. We look forward to seeing you in our Las Colinas dentistry practice soon. Why Choose 21st Century Dental for Dental Sedation? 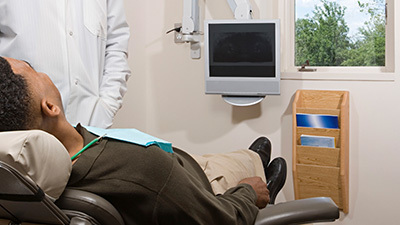 Who Should Consider Dental Sedation? 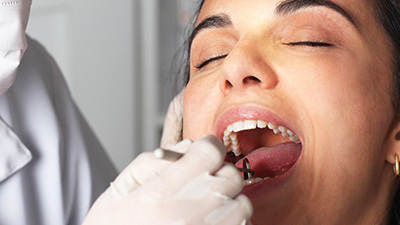 Many patients experience dental phobia or anxiety that makes visiting the dentist uncomfortable, but the caring dentists and team at 21st Century Dental & Sleep Center offer a wide range of sedation dentistry options to ensure every patient we treat feels relaxed and free from pain throughout even the most advanced procedures. Nitrous oxide or “laughing gas” has been used for centuries to provide comfort for dental patients. 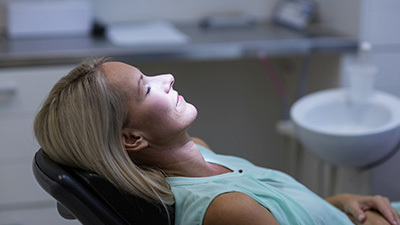 Inhaled through the nose during treatment, the dosage of nitrous oxide can be quickly adjusted to help patients achieve and maintain optimal relaxation throughout their dental care services. 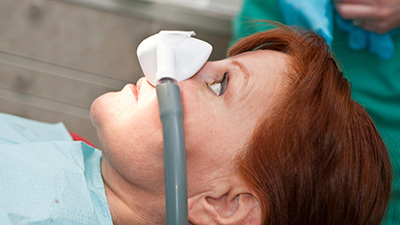 In addition to its fast onset, nitrous oxide sedation wears off quickly, so patients can resume their regular daily routine immediately after treatment. This service is FREE for patients undergoing treatment! Oral sedation (also known as “sleep dentistry”) utilizes the oldest of all routes of drug administration – the mouth. Safe, economical, and convenient, oral sedation when properly used can deliver a deeper relaxation state than nitrous and provide some amnesic effects. If you suffer more from the thought of coming in than actually being here, this may be the choice for you. After an initial consultation to determine if you need anxiety relief or just need complete extensive treatment in one visit, we will take baseline vital signs and write a prescription. Halcion (Triazolam) will be taken about an hour before your dental appointment, so you will be relaxed before we start. Although awake, you will feel relaxed and drowsy. During your treatment, we will monitor your pulse, oxygen saturation rate, and your blood pressure with state-of-the-art patient monitors. We never leave your side. The same medication we use for sedation dentistry can also be given to you the night before to help you sleep. Don't let anxiety prevent you from having the confident smile or healthy mouth you have always wanted. Take the time to come in and meet us so we can decide together what is best for you. If you would like a first appointment to simply talk about your anxieties and fears, we will do that and no dental exam will be performed at that time. IV sedation allows our team to offer patients a deep level of conscious sedation that can be easily adjusted throughout treatment, helping patients maintain a sense of complete comfort and relaxation. Like nitrous oxide, IV sedation can be adjusted throughout treatment to maintain the optimal comfort level. Unlike nitrous oxide sedation, the effects of IV sedation do not wear away quickly. In fact, it may take 12 to 24 hours for the effects of IV sedation to completely wear off. You should have a trusted friend or family member drive you to and from the office. 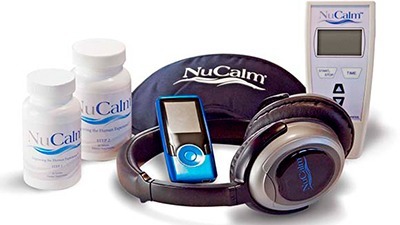 NuCalm is a drug-free, FDA-approved method for soothing frazzled nerves, and with it, we can help even the most anxious patient relax during their dental appointments. It combines noise-cancelling headphones, vitamin supplements, and gentle electric stimulation to naturally put the brain into a relaxed state similar to pre-sleep. It can be used for a wide range of procedures, and because it doesn’t involve any kind of sedative, patients don’t have to worry about any lasting drowsiness afterward.